Madagascar is a beacon for IECD who have been implementing projects there since 1989. Over time the IECD has developed innovative solutions to meet the needs identified in the areas of access to education for children in rural areas and in vocational and technical training for the youth. In 2013, IECD then started its programmes to support small enterprises in the outskirts of Antananarivo. The programme against sickle-cell disease was also branched out throughout the country during 2014. 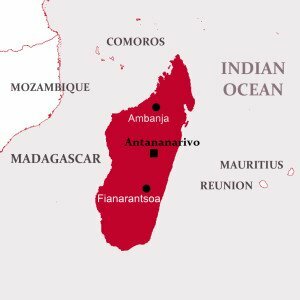 Madagascar is the only country in the world where the standard of living has fallen since 1960. Three-quarters of its 25 million inhabitants live below the poverty line. In the same way as many countries in the African continent, the Madagascan population is also seriously affected by Sickle Cell Disease. In 2017, thanks to the Sickle Cell Disease Program, 1,700 people were treated, 8,700 were screened, 9,300 were informed and 110 healthcare professionals were trained. In 2017, the CERES program in Fianarantsoa obtained a success rate of 83% in the BEPC and 86% in the baccalaureate. The benefits generated by “La Rizière” hotel-restaurant financed the school by as much as 79%. In July 2017, the technical support mission to the Ministry of Employment, Technical Education and Vocational Training (MEETFP) entered its second phase. In phase 1, it enabled the first CAP in hospitality-catering to be awarded in Madagascar. Finally, in order to reach highly vulnerable populations in rural environments, the Support for Small Enterprises program provided a new mobile and simplified service offering.